If you follow me on Instagram you will know I like to eat lots of naughty food but sometimes I like to balance it out. Cauliflower rice and courgetti are some of my favourite ways to keep things a little lighter. I’m not saying pasta is bad – I love a bowl of pasta, but I was looking for a slightly lighter way to enjoy one of my winter favourites and that is where my low carb lasagne comes in. Instead of lasagne sheets I use slices of butternut squash and courgette. The first time my husband tried this he didn’t actually realise there wasn’t any pasta in it! It’s also a great way to get extra veggies in too. 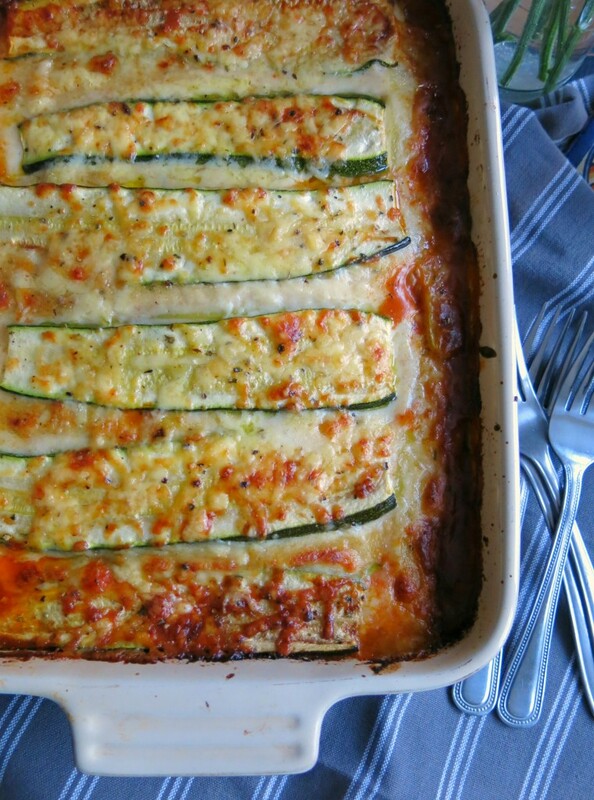 This low carb lasagne feeds 6. – 50g grated mature cheddar, and some extra for to grate over the top. Get the oil on in a large pan over a medium heat, add your onion and let it fry for a couple of minutes. As it starts to become translucent add the garlic, chilli and bacon and let this fry for another 2 minutes. At this point add the mince. Once browned add the stock cube and stir through. Now add the chopped tomatoes, oregano and cumin and a good grind of salt and pepper. Give it a good stir and bring to the boil, then turn down to a low simmer and cook for 20 minutes. Next add the wine, tomato puree and birch syrup. I bought the birch syrup recently at a farmers market, there were three types – early, middle and late. This is to do with when it is collected from the tree, the early is a lot lighter and the late (which is what I picked up, has a deep, sweet and almost balsamic flavour. It can be used in cooking like this or the earlier syrup on pancakes. It’s rather delicious!). Also add the lentils and half a cup of water and stir. Then simmer with the lid on for 25 minutes. At this point I get the oven on at 190C to pre-heat. Whilst the mince and lentils are simmering, I prep the veg and get on with the white sauce. I do find chopping up butternut squash a workout in itself! So bloody hard! But my tips are as follows – cut the bottom off so you have a flat surface. Sit it on its bottom and then slice off the skin in downward ribbons. Work your around the squash, then slice the top off. Then slice the squash down the middle to give you two halves. Scoop out the seeds and cut thin slices out of the squash, about 2mm thick. Also slice the courgette to the same thickness. Now onto the white sauce, melt the butter in a pan on a low heat. Then slowly add the flour – I add it bit by bit and stir it into the butter. It will form a paste. Once all you’ve added all the flour take it off the heat and very slowly whisk in the milk. Don’t add it all at once or it will go lumpy! It will gradually become sauce like – just be patient! Put the pan back onto a low heat and stir in the grated cheese, it should melt into the sauce. By this point your meat sauce should be done – make sure to taste it – the lentils should be just slightly underdone as they will continue to cook in the oven. But, if they are still hard keep them simmering a little longer. Now its time to build your lasagne! I use a large oven dish so only have two layers of meat. But if you have a smaller, deeper dish you may find you can do three. For a large dish layer as follows: spoon half the meat sauce into the dish and spread out evenly. Put a layer of butternut squash across the dish and then spoon enough of the white sauce to cover it, then add a layer of courgette. Now repeat – meat – squash – white sauce – courgette. Add some extra grated cheese on the top. Cook it in the oven for 35 minutes. Before you serve it up just check the squash it cooked by prodding the lasagne with a sharp knife – if it still feels hard give it a little longer. Bring the dish to the table and serve whilst piping hot! 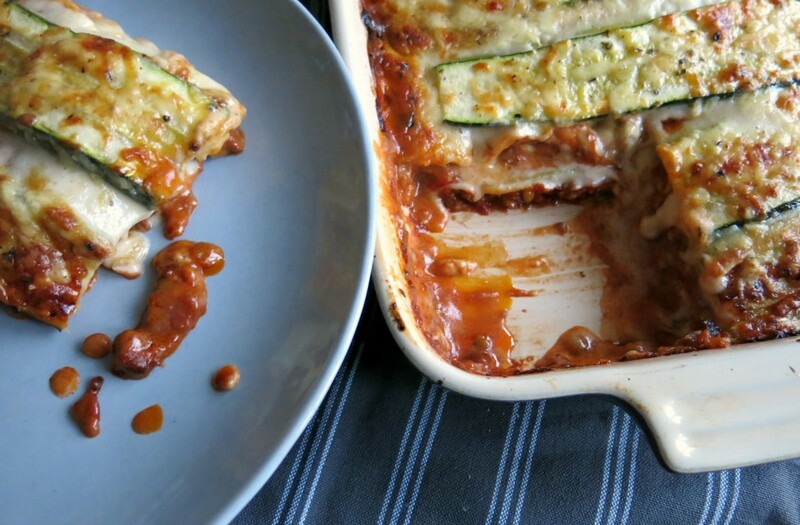 This low carb lasagne is perfect for those long winter nights ahead. OHHH MYY GOD. I want it. I want it now!